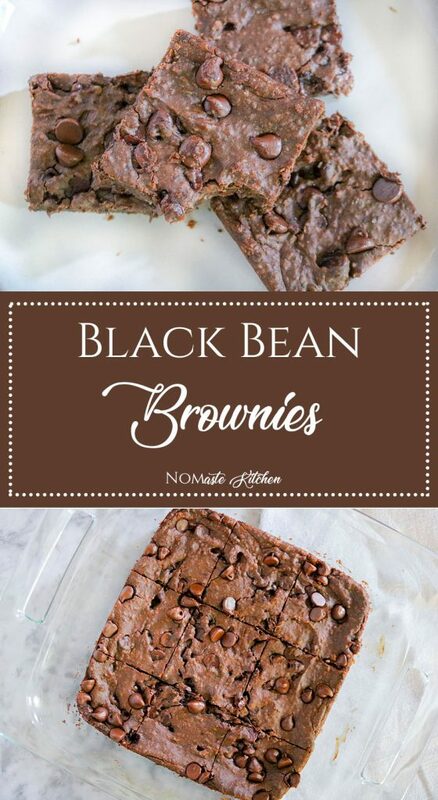 Black Bean Brownies – I would LOVE to know who was like hmm – maybe my black beans would taste good with some chocolate…? WHAT? HOW STRANGE! But what a successful endeavor! I have always been nervous to make Black Bean Brownies. I honestly have no idea why, they just seemed like they must be complicated. 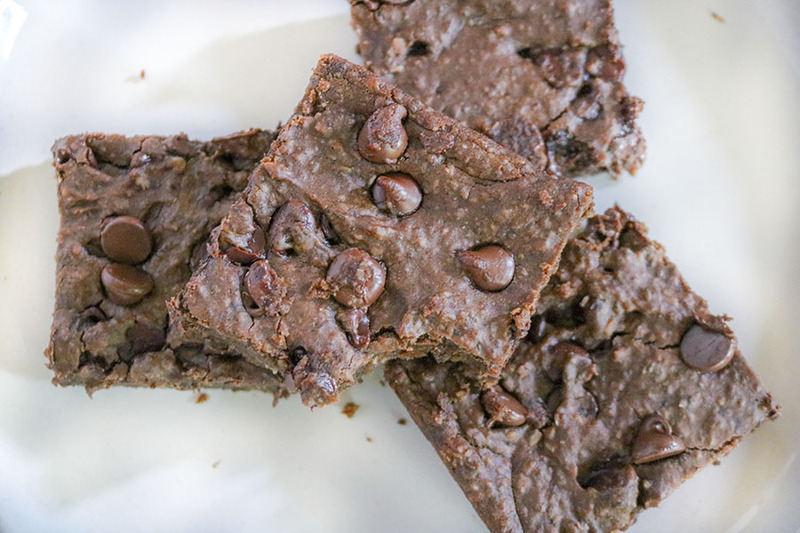 How could making black beans turn into chocolate brownies be easy? So, instead of taking a swing and totally missing – I decided to go to an expert for help. 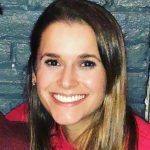 Chocolate Covered Katie is an awesome blog for healthy desserts (and more). Katie makes all the desserts that you are afraid to try or have never even imagined in your wildest dreams. I mean, she has an entire SECTION on Healthy Brownies… dreams do come true. 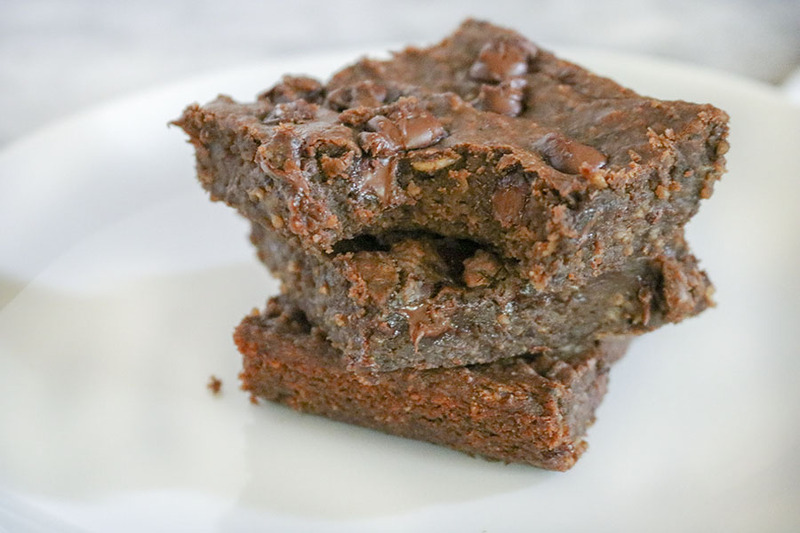 Flourless Nutella Blender Muffins, Chocolate Workout Brownies, Coconut Chocolate Chip Brownie Bars – like omg. I just can’t stop scrolling. All her recipes look incredible and many of them are flourless and/or vegan. I would highly recommend checking out her blog if you have not already! 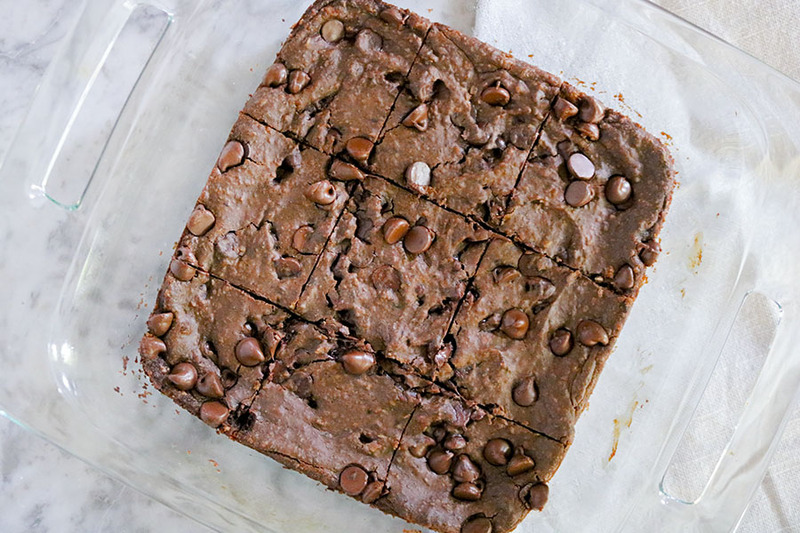 But anyway, back to the Black Bean Brownies! 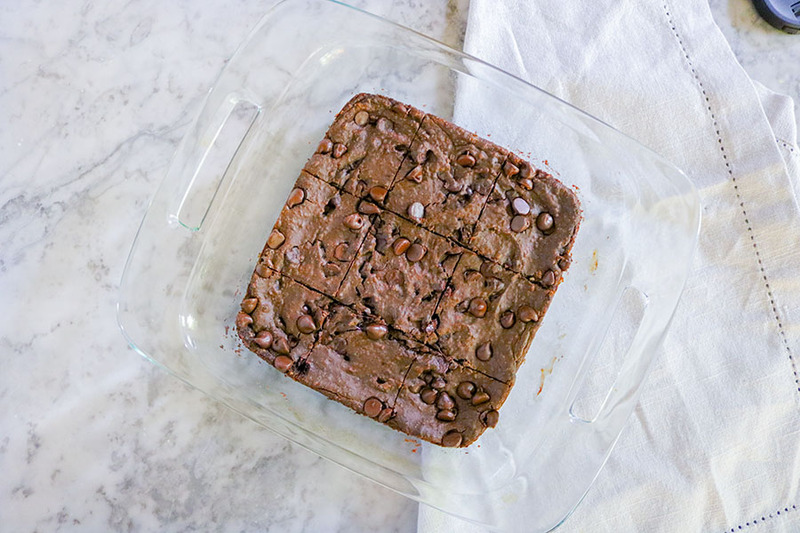 Since I have never made any type of Black Bean Brownies before (or eaten one for that matter), I wanted to follow Katie’s recipe exactly to see how they should taste! Katie recommends blending all the ingredients together in a food processor rather than a blender. However, my food processor is currently in my top kitchen cabinet behind all my other kitchen appliances I just didn’t feel like getting it down. So I disobeyed. Sorry, Katie! I used my handy dandy Magic Bullet Blender instead. Is the Magic Bullet as good as a food processor? Honestly, probably not. BUT it is SO easy to use and even EASIER to clean! I literally just rinse and throw my used cup/blades in the dishwasher and that’s it. Bing bang boom! So, my ingredients were out and ready. My Magic Bullet was plugged in. Time to start the magic! Get it? Because I was using the Magic Bullet :). Boo YAH! Rinses black beans – Man, I forgot how weird black beans smell. Maybe the smell will go away once mixed with the other ingredients? Adds first few ingredients to Magic Bullet cup – Will this all fit into my magic bullet cup? Tentatively tastes batter – WOAH, YUM! So despite Katie’s warning against using a blender, and my challenges with the batter being so thick, you’re probably wondering how my brownies turned out – AMAZING!! I was SO surprised! I definitely had stir to the batter a few times between blends in order to really get everything ground up. And even after that, there were still some oaty bits visible. I added about 1/2 cup of chocolate chips into the batter, then sprinkled another small handful over the batter once it was spread out in the pan. After baking for about 15 minutes, the brownies still looked moist in the center so I baked for an additional 3 minutes (totaling to 18 minutes in the oven). Katie suggests to wait at least 10 minutes for the brownies to cool, but I just allowed them to cool completely before slicing and serving. 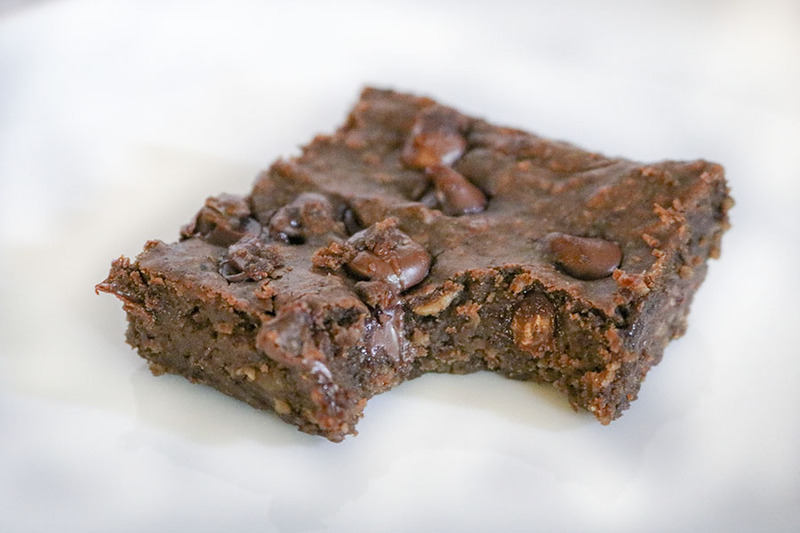 The brownies turned out fudgy, rich and decadent, packed with small oaty-bits and chocolate chips. The smell and taste of the black beans becomes almost impossible to detect. 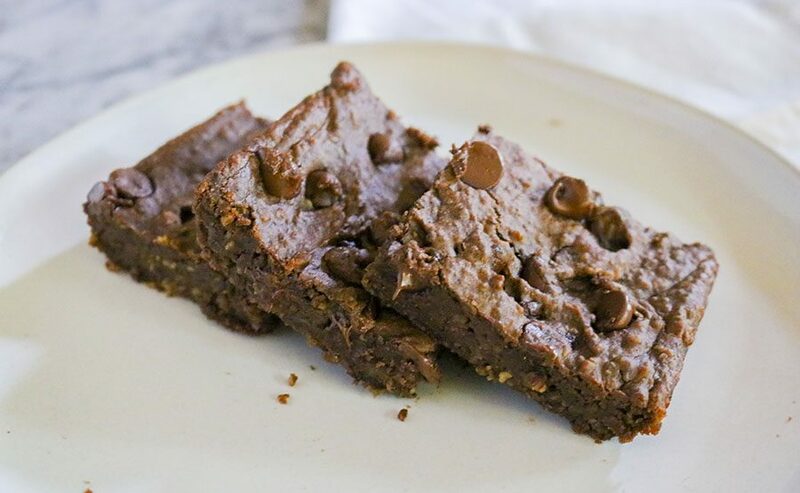 If one were to give me one of these brownies and not say anything about them having black beans in them, I think I could tell that they were flourless – but honestly, I probably wouldn’t be able to tell if they were healthy, and I definitely wouldn’t know there were black beans hidden inside! Try the recipe for yourself and let me know what you think! 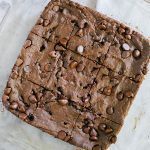 I think these brownies would taste incredible with some additional walnuts or shredded coconut – mmmhmmmm! An ultra fudgy and decadent chocolate treat! 1/2-2/3 cup chocolate chips Not optional. Omit at your own risk. The secret trick from Katie: "Serve them first, and then reveal the secret ingredient! In all the times I’ve served bean desserts, not one single person who didn’t know beforehand has ever guessed!"